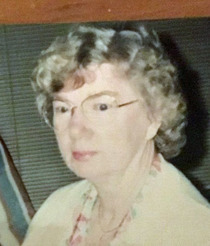 Bernice Catherine Voorhees, 89, of Sarasota, FL and former resident of Clermont, FL passed away Sunday, August 19, 2018. Bernice was born on July 7, 1929 in Newark, NJ, daughter of George Carl Joseph and Elizabeth (nee Pfeifer) Baldringer. She worked for and retired from Prudential Life Insurance Company. Bernice and her late husband, Rowland moved to Clermont in 1993 previously living in Belmar, NJ and Port Monmouth, NJ. She was heavily involved in the Elks Lodge and the American Legion with Rowland. Bernice was a past member of the Missionary Alliance Church, Minneola, FL. Bernice is survived by her cousins, Anne Atkins of Bradenton, FL, Bonnie Kline of Maine; brother in law, Jimmy Davis of Keansburg, NJ; great niece, Samantha Davis of Keansburg, NJ and cousins, Laurie (Scott) Moulliet of Sarasota, FL and Jennifer (Ed) Stone of Bradenton, FL. She was preceded in death by her loving husband of 65 years, Rowland in March of 2016. Friends and relatives wishing to attend the burial and committal services may meet at the office at Fairview Cemetery on Friday, August 24th at 1 pm.